The use of a tone generator during the decompression allows a very fine control of the frequencies (double precision), as with the magnitudes and the phases. The tones can be generated in parallel, so the generation is compatible with the GPU programming. The very fine control of the frequencies allows to do frequency shifts in real time with very few additional operations. This powerful feature can be used especially in case of profound hearing loss in some frequency region, during the voice communications. - Compression ratio (for frequency lowering). - Compression threshold (no compression below the threshold, in Hz). - Shift offset (for addition, in Hz). - Width of a band of frequencies (for composition, in Hz). With the composition, the compression ratio and the offset are applied to a band whose frequencies are added to the original frequencies. Set the width of the band to zero if no composition or to a strictly positive value for a composition. One can complete and use the bands of the background to reduce the noise contained in a signal. On Windows, starting from the version 7 of the codecs, an utility (fshift.exe) is provided. This utility allows to test the functions of frequency shifts. From a WAVE file, it encodes and then decodes with the selected codec. During the decompression, it applies the selected settings for the shifts. The play.exe utility or an other WAVE file player can be used to read the output file. The fshift.exe utility allows to know the parameters that correspond to your own needs. Run the utility without parameter to have the list of all the available parameters. The tone generator can be used for all the codecs. The calculations increase with the number of tones to generate and the size of audio buffers. The GPU programming can be used if necessary. By changing the value of a simple variable, the tone generator can be enabled or disabled for a codec. The decimation and the points selection algorithms in the frequency domain are useful to significantly reduce the calculations. The iFFT (inverse FFT) related properties as the fast convolutions or the fast 3D are no longer applicable. Furthermore, the HQ codecs (VLC HQ 16 and VLC HQ 48) are no longer quasi-lossless in energy, with the LTAS (Long-Term Average Spectrum) definition. Without the support of GPU programming (which is planned), the calculations increase substantially for codecs using the sampling rates above 16 kHz (VLC 32, VLC 48, ...). We use iFFT for those codecs. This causes a loss of precision for the modified frequencies (the frequencies become multiples of the width of the FFT bins). However, these losses are insignificant for sufficiently high frequencies. The VLC HQ 48 codec seeks the greatest points up to 24 kHz. 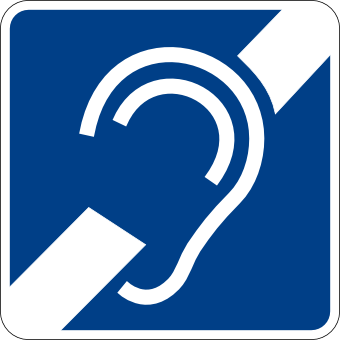 Even if one has no hearing problem, from 16 kHz, the frequencies are becoming less and less audible. The frequency lowering allows to hear the higher frequencies the best possible. One can for example choose a threshold between 12 and 16 kHz and a compression ratio between 2 and 10. - 16 kHz remains 16 kHz. - 20 kHz becomes 17 kHz. - 24 kHz becomes 18 kHz. The points taken into account for the compression constitute the spectral envelope modulating the default magnitudes of the shifted points. The threshold should be greater than 1000-1500 Hz to avoid undesirable distortions. The fshift.exe utility supports the uncompressed PCM codecs (pcm8, pcm16, pcm32 and pcm48, for the 8, 16, 32 and 48 kHz sampling rates). For treatments, the FFT and inverse FFT transformations are performed on the decoder side.